Sexual abuse happens when someone uses threats, force or takes advantage of someone in a vulnerable position to engage in unwanted sexual activity. Unfortunately, some organizations and institutions have provided perpetrators the opportunity to groom and exploit victims in settings where they are regularly taught to respect and follow those in leadership roles, such as doctors, priests, teachers or coaches. When these types of authority figures abuse people sexually it can be very harmful and traumatic for victims. They often have lasting physical, emotional and psychological issues, from flashbacks and depression to eating disorders and self-harming behaviors. If you or a loved one has been sexually abused, do not hesitate to contact Phillips Law Group for legal help. Our Phoenix sexual abuse attorneys are committed to seeking compensation for the injuries you have suffered. 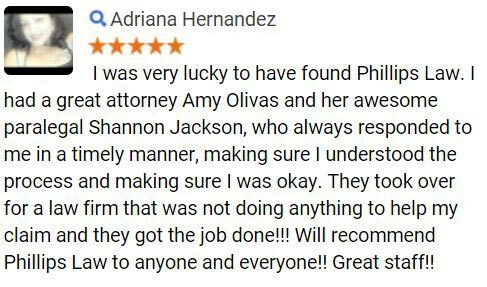 We have helped many personal injury victims and their families throughout the Phoenix area by providing the strong, compassionate representation they deserve. Holding individuals or organizations accountable for the abuse they allowed can be an important part of the process of moving forward. During a free consultation, our Phoenix sexual abuse lawyers can review your case, discuss your legal options and answer any questions you may have to help you make an informed decision about what to do. If you decide to move forward with the legal process, there are no upfront costs or attorney fees involved. 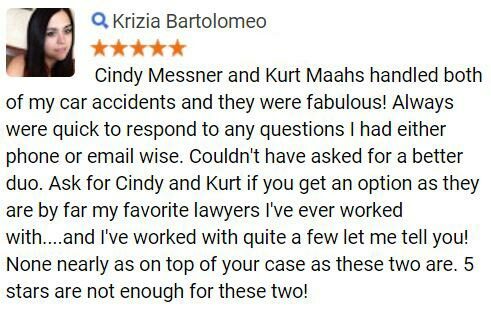 You only pay us if you recover compensation. Call 1-800-706-3000 or fill out our Free Case Evaluation form today. Sexual abuse involves unwanted or intentional sexual contact with a minor or an adult. Acts of sexual abuse often go unpunished for many years because perpetrators use their position of power to intimidate their victims or are being protected by the organization or institution they work for. This can cause victims to be hesitant or afraid to come forward. The long-term effects of sexual abuse can be physical, emotional and even behavioral. Victims may experience chronic or localized pain, panic attacks and post-traumatic stress disorder. Sexual abuse can take a toll on the victim and his or her family. 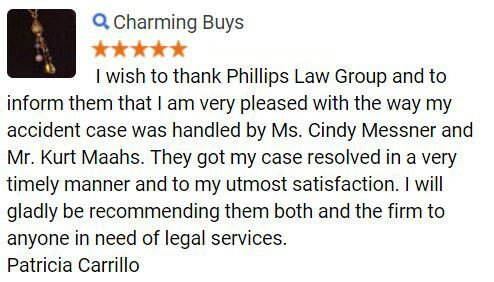 At Phillips Law Group, we understand the pain, frustration and uncertainty that often results from being a victim of sexual abuse. A sexual abuse lawyer in Phoenix will work hard to build the strongest case possible against those responsible and pursue any and all damages you are entitled. We know damages cannot change what happened, but they can be an important part of helping families begin to move forward. Complete our Free Case Evaluation form now so we can get started. Clergy members – Unfortunately, the widespread cover-up of sexual abuse has been an open secret within religious institutions for many years. Sexual abuse committed by members of the clergy has greatly affected children who have become victimized by religious leaders they looked up to for spiritual guidance. We can help hold clergy members and the church accountable for sexual abuse. University physicians – When students see an on-campus doctor for their health, they expect to be treated with care and for the university to keep them safe and protected. A violation of that trust can cause students to lose interest in continuing their studies and become isolated from close family and friends. Our lawyers can investigate whether the university failed to report instances of sexual abuse or failed to reasonably protect students. Teachers and coaches – Students spend a lot of time in school listening and learning from their teachers, coaches and other faculty members. Many students even see these individuals as mother or father figures in their lives who can be trusted. We can help students and their families hold the individuals, the school and school district liable for any abuse experienced. Our Phoenix sexual abuse lawyers are prepared to handle all the legal aspects of your case to aggressively pursue the justice and compensation you deserve from all responsible parties involved. Our firm is ready to discuss your case with you. Call 1-800-706-3000 today. Over the past several years, there have been a number of high-profile cases involving sexual abuse in schools, universities and religious institutions. Many of these perpetrators and their organizations have been held accountable and/or agreed to pay millions in settlements in cases affecting numerous victims. The Catholic Church and other religious institutions across the nation have been exposed for covering up sexual abuse allegations. In September of 2018, the Diocese of Brooklyn agreed to pay $27.5 million to victims of sexual abuse committed by a religious teacher at a Roman Catholic Church between 2003 and 2009. Clergy members were found to have ignored the warning signs and failed to report the abuse. A month earlier, a grand jury report in Pennsylvania identified more than 300 Roman Catholic priests who had abused at least 1,000 children over the span of 70 years. This detailed report comes nearly two decades after widespread abuse was found within the Roman Catholic Church in Boston. One of the largest sexual abuse settlements in the history of the church happened at the end of May. The Archdiocese of St. Paul and Minneapolis agreed to pay $210 million after 450 victims were sexually abused by more than 90 Catholic priests. For decades, religious leaders had been reassigning, excusing and overlooking sexually abusive priests for their misdeeds against innocent children and vulnerable adults. Doctors, teachers and coaches employed in various schools and universities have also been involved in sexual abuse cases. In October of 2018, the University of Southern California agreed to pay $215 million in damages after many students filed lawsuits accusing the campus’s longtime gynecologist of sexual abuse. The settlement would provide $2,500 to any student treated by the doctor over the course of his 30-year employment at the health center and $250,000 to students who allege they were abused. Two months earlier, Redlands Unified School District in California agreed to pay $15.7 million to victims of sexual abuse committed by a high school math teacher and golf coach. The district has paid more than $22 million within the past five years to settle lawsuits filed by former students sexually abused by their teachers. Michigan State University in May agreed to a $500 million settlement after more than 300 victims were sexually abused by the campus sports doctor. Officials at the university were accused of failing to report a gynecologist who had faced allegations of misconduct for decades. This is one of the largest sexual abuse settlements for a U.S. university, surpassing Penn State’s 2017 settlement. The settlement reached by Penn State helped pay more than $100 million to more than 30 victims sexually abused by the university’s assistant football coach dating back many years. Initial reports of inappropriate behavior by the coach were handled improperly by former employees and administrators. The licensed sexual abuse lawyers in Phoenix understand how difficult it can be to report sexual abuse. You may be fearful, hesitant or even embarrassed, but you are not alone. Our firm is dedicated to defending the rights of abuse victims like yourself. Fill out our Free Case Evaluation form today to get started on your claim. Sexual abuse cases can present distinct legal challenges that require the skill of a lawyer who is experienced in handling these types of claims. Our Phoenix sexual abuse attorneys understand Arizona law and the impact sexual abuse has on victims and their families. We can help guide you through this difficult time by fighting for your legal rights, making sure your best interests are protected and pursuing the compensation you rightfully deserve. Our attorneys can provide you with a free, no obligation consultation where we can evaluate your claim and discuss all the legal options available to you. We can help determine the perpetrator or organization responsible, the damages you suffered because of the abuse and the compensation you may be able to receive. Once you have consulted with one of our lawyers, we can start thoroughly investigating your case. This may include reviewing key pieces of evidence related to your claim, such as any medical records, journals or diaries kept or eyewitness statements. We can also bring in criminal investigators, psychologists and medical experts to testify under oath, helping you build the strongest case possible. If you have a valid case, we can help file a sexual abuse claim on your behalf to recover the compensation you deserve. In order to do so, the complaint must be filed before the statute of limitation expires. Since Arizona does not have a specific statute of limitations when it comes to civil sexual abuse claims, these type of cases are filed as personal injury lawsuits. This means you must file within two years from the date of the abuse or within two years from the date of the victim's 18th birthday. If you do not file before the deadline passes, you will lose the right to continue pursuing compensation. A Phoenix sexual abuse attorney can guide through the claims process to ensure you file within the deadline. Our lawyers understand how to accurately estimate the value of your claim to seek out the maximum compensation you need. Depending on your situation, you may be entitled to recover special damages for medical expenses, private counseling or therapy sessions, lost income and out of pocket expenses and general damages such as emotional distress, loss of enjoyment, and pain and suffering. Schedule your free case evaluation by calling 1-800-706-3000. A skilled Phoenix sexual abuse lawyer at Phillips Law Group understands the physical and emotional pain many victims face after experiencing abuse. We are ready to provide the legal help and support you need throughout the entire claims process. 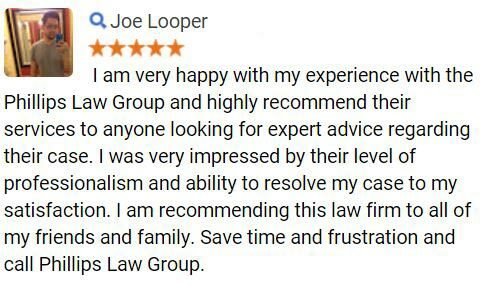 Contact us to schedule a free, no obligation legal consultation. We take all cases on a contingency free basis which means we only get paid for our services if we help you obtain compensation for your case. Complete our Free Case Evaluation form now or call us at 1-800-706-3000.